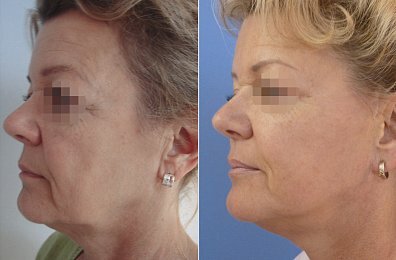 Are you considering a facelift procedure? The face and neck lifting solves the problems related to ageing symptoms. 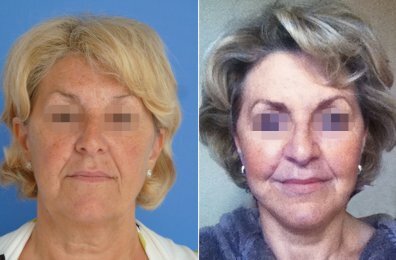 Most people choose to undertake the face lift surgery for the following reasons: looseness to the skin and relaxation of muscles resulting in wrinkles and folds on the face; visible jowls – no longer a smooth firm jaw line; deep lines in the corner of the mouth, often giving a ‘sad’ look; loose skin and wrinkling to the neck area; lack of self confidence – some people age prematurely and feel that the face does not match the body; substantial weight loss in later life can give the effect of ageing – the skin cannot retract as in younger people and without the fat, will become saggy and wrinkly; to look more youthful and attractive. Face and neck lifting procedure is always carried out with respect to the type of face, skin quality and elasticity. The operation removes excessive skin in the neck and face, tightens the under-skin structures and results in partial smoothing of some wrinkles. However, it should be noted that the wrinkles are cause by mimic muscles. This varies with each individual and therefore it is not possible to remove the following: permanent perpendicular wrinkles on the upper and lower lips and forehead wrinkles. The face and neck lift procedure cannot stop the ageing process. However, it can postpone its symptoms by several years a make the face look 8-10 years younger. The plastic surgeon may advise you to stop smoking to help the healing process. If you dye your hair, it is recommended to do so before the surgery, as it will be several weeks afterwards before it is again safe. It is also good to take a pair of sunglasses and a scarf with you to the hospital – this will help to hide any bruising around the eyes. The first step, is to contact our Clinic and we will reply within 24 hours. Then, if possible, it is helpful to send the photos of the body parts in question for the plastic surgeon to evaluate them. We respect every client´s privacy, therefore we ensure that the photos are always delivered straight to the plastic surgeon. Thus, the very first consultation with the plastic surgeon can happen via e-mail. d. sending an MMS direct to the plastic surgeon’s phone +420 608 703 150. After receiving your photos and getting the plastic surgeon’s recommendation, we are able to give you most accurate medical assessment of our plastic surgeons and details of your indication, offer the first available date of the operation or to confirm the date of your preference. Every client then receives (via email) detailed instructions and information about the particular plastic surgery operation, needed for planning. It is recommended to get the pre-operative examination at the client’s local clinic, with the patient’s GP. The Pre-operative Evaluation Form is sent to the client via e-mail. 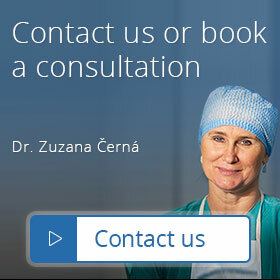 If necessary, the examination can be done at our Clinic here in Prague. Good planning includes: making allowances for time off work (usually 2-3 weeks depending on the operation and the nature of the client’s job); making arrangements with the client’s family to provide support and help in the recovery period (avoiding physically demanding jobs, important social events etc. ); if needed (and possible), arranging for children care. A deposit of €300 is required one month prior to your scheduled operation date, sent together with the confirmation of your reservation. The account number shall be sent to you via e-mail. In the event of a sudden illness or unavoidable problem, your operation date can be re-booked for a more convenient time. One month prior the operation, do not use any medications containing acetylsalicylic acid (such as Acylpyrin, Aspirin, Alnagon, Mironal etc.). It might increase bleeding during and after the plastic surgery. It is assumed that no acute illnesses have occurred in the period of at least 3 weeks prior to the planned plastic operation (a viral illness, a cold etc.). If so, it is necessary to inform the plastic surgeon. It is essential to remember to drink enough water (2-3 liters a day for min. 3 days prior to the operation) and to rest well the night before the operation. Nevertheless, no alcohol may be consumed the night before the operation and for ten hours before the operation, do not drink, eat or smoke. Wash your hair the day before the operation and do not put any facial lotion or make-up on the day of the plastic surgery. Any jewellery, including earrings, should not be worn. The clients staying in the suites arranged for by our Clinic enjoy the benefit of having their plastic surgeon in-house, as the Chief surgeon’s consultation office is in the same building as the suites, and the Clinic itself is within 50 m distance. Face lift involves tightening of the under-skin structures, a skillful removal of excess facial skin from the neck, chin and cheek areas under general anesthetic. The scars will be hidden behind your ears or in your hairline and will usually fade over time. The procedure of face and neck lift will normally take between 2 and 3 hours and will require one night in hospital. Following the operation, you may experience bruising and swelling around the area operated on. This may be accompanied by a ‘tight’ feeling and numbness. You will be advised to keep all head movements to a minimum during these early days, to avoid straining the stitches. Until your state of health stabilized, our medical staff will check on you every day after the operation, to ensure your healing is going well. After the bandages have been removed on the 3rd to 4th day after the operation, hair should be washed and the healing continues without bandages, with regular hair showering once a day. Our Clinic provides you with a special scarf to protect your face when sleeping. In 7 to 14 days after the operation, the stitches will be removed and at this time you will be able to resume your normal day to day activities with a few exceptions. It will be possible to return to work once the stitches have been removed and the bruising and swelling have settled; approximately 2-3 weeks.